This April ALG is on a sugar high! The sweet spring fashions, Easter baskets piled high with vibrantly hued dyed eggs and decadent chocolates, and perfect people-watching weather at our favorite festivals leave us with a rush like a child after too much Easter candy. We are spinning out of control with sensory overload. It is all so much, and it’s all so delicious. We cannot get enough of our latest boutique crush, Dolce, on Metairie Road. This sassy store carries everything you need to sashay your way through Jazz Fest this year. Owner Jessica Macaluso O’Conner makes certain to have all the latest trends to keep her Dolce girl looking prim and posh. Metairie Road is known for a bounty of beautiful boutiques. It offers a couple of miles of ALG’s go-to shops to pick up lovely fashions for clients or photoshoots, and, of course, our ALG stylists always find a we-cannot-live-without piece to fill their own wardrobe. Yes, it’s an occupational hazard. 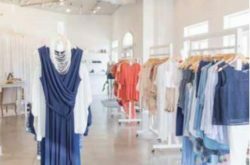 Metairie Road staples that have stood the retail test of time like Em’s, Hemline Metairie, and Vita by Italy Direct — as well as veteran retailer Beth Harris from Relish and The Garden Gate — are known for their exceptional editorial eye and phenomenal customer service. We are thrilled to add Dolce to the list. We had a few moments to chat up O’Conner in between her bustling days unpacking spring arrivals and a revolving door of happy customers. She is no newbie to retail. She spent five years hustling at the upscale Metairie boutique Chatta Box before opening Dolce. “I wanted to open an affordable shopping option to reach a wider market,” O’Conner says. Dolce is a boutique for shoppers of all ages in search of on-trend items yet who are also spend-savvy. “The Dolce customer is anyone from teenager girls to the sophisticated lady who is always on the hunt for a classic piece with a trendy twist,” O’Conner adds. The New Orleans Jazz & Heritage Festival does not disappoint when it comes to watching colorful characters of every age shake what their momma gave them in equally interesting attire. Coachella and Burning Man may have movie stars and Millennials, yet Jazz Fest has individuals that are proud to be the star and audience of their own reality TV show. Unapologetic with their choice of attire, we look forward to the runway of the Race Track every year. O’Conner of Dolce will don her bohemian dresses with a wide brim hat; her attire is built for both form and function. Dolce carries festival essentials that are Instagram worthy. Very in this season is washable linen, ideal to keep you cool and still looking chic. Find this no-fuss fabric as a white dress or long-sleeve button-down. To complete the outfit, O’Conner suggests lace up sandals. We recommend picking up some distressed denim shorts to achieve that Boho-goddess/devil may care/I’m not trying too hard ensemble. Shop Dolce for festival frocks and then make your way down Metairie Road for all your spring style needs! Fest, fest, fest! Happy shopping and happy spring!